Easily recognized and indistinguishable, this newly launched drive is catching attention everywhere. 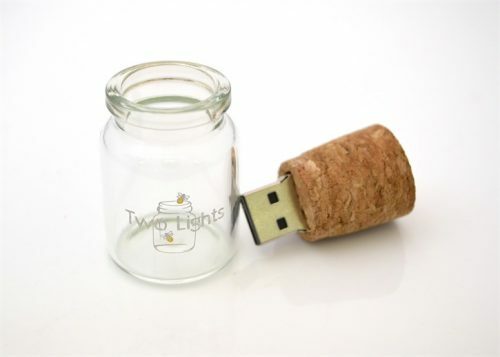 Made from glass and featuring a cork, our BOTTLE USB flash drive will leave a great impression. Often used by photographers, BOTTLE provides an excellent creative option to more traditional flash drives. Customize BOTTLE with one-color logo printing available on the top of the cork or printing directly on the side of the glass bottle.